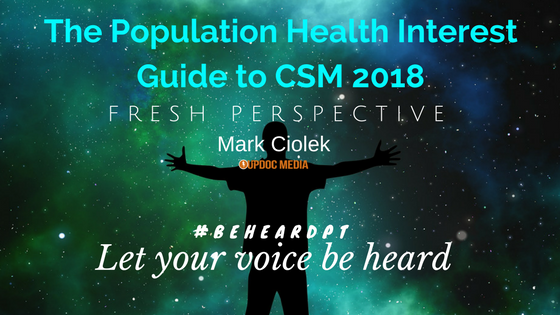 Today, we are pleased to share another Fresh Perspectives from Fresh PT, Mark Ciolek, on a growing passion point in Physical Therapy practice: Population Health. Take it away, Mark! So you’re going to CSM where once per year clinicians, researchers, teachers, and branded stress balls descend on an airplane hangar-sized conference center. 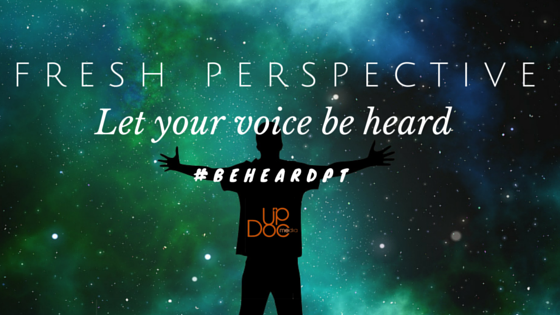 Although with just 1.5 years as a #FreshPT, I’ve been to a conference or two in my day. 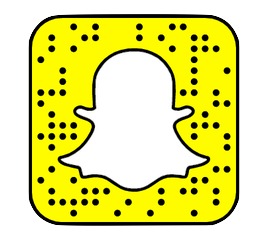 CSM is the go-to event for bringing a wide range of thought leaders and eager learners together, BUT it’s easy to get stuck in the same thought pattern and echo chamber. My most valuable experiences have been attending sessions that offer some shift in thinking from the way I’ve previously done things. The most important part happens AFTER the session, where you can then continue the conversation with presenters and attendees and build relationships. Hearing pain neuroscience presentations from presenters like Adriaan Louw, Peter O’Sullivan, and Lorimer Moseley was my first wave of ‘thought shifting.’ These are people who frame their clinical practice much differently than I did previously. Think of asking these folks 1-2 poignant questions that directly relate to your thought process….. I’ll never forget attending AAOMPT conference as a student and chatting with Peter O’Sullivan during the social event. Not only was a wearing a party themed flat brim hat (amazing), but he also gave an honest perspective on how to reconcile the shifting landscape of PT. So valuable! Similarly, my last year has been highlighted by a deep dive into all things prevention, health promotion, and population health. 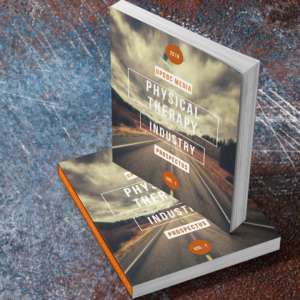 This includes the idea that as a country we are doing a poor job addressing lifestyle related, those same lifestyle factors also effect pain & outcomes, and the realization that if physical therapists can make a dramatic shift in practice pattern — WE could be part of the solution. This journey of shifting my practice pattern to be more ‘health facing’ has been led by PEOPLE. These are leaders, newcomers, and a community, spearheaded by the mad scientist himself, Mike Eisenhart, and the growing passionate members at the APHPT (https://www.aphpt.org/). Who is already trying it? Answers to these questions are likely not in your textbooks. BUT — I’ve come to believe this is both the type of therapist I came into the field to be, and likely the route that has the chance to TRULY transform society. Although the answers to these questions might not be simple — the conversation can start at CSM. I encourage you to seek out sessions at CSM 2018 that challenge your thinking to engage. For you that may or may not be health facing practice, but find whatever feeds your fire and chase it. 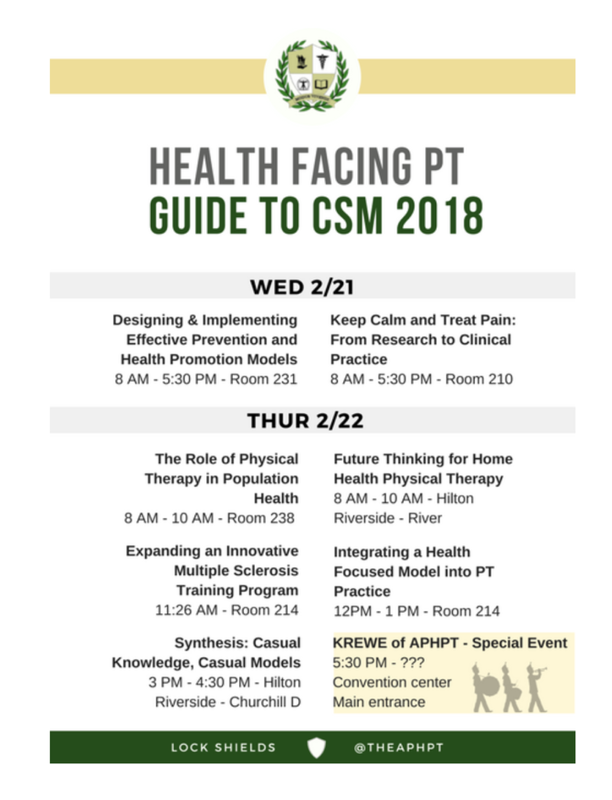 We at the APHPT have prepped a trail guide for related sessions that you can save for reference — see below! Stay Excited and Happy Conferencing! 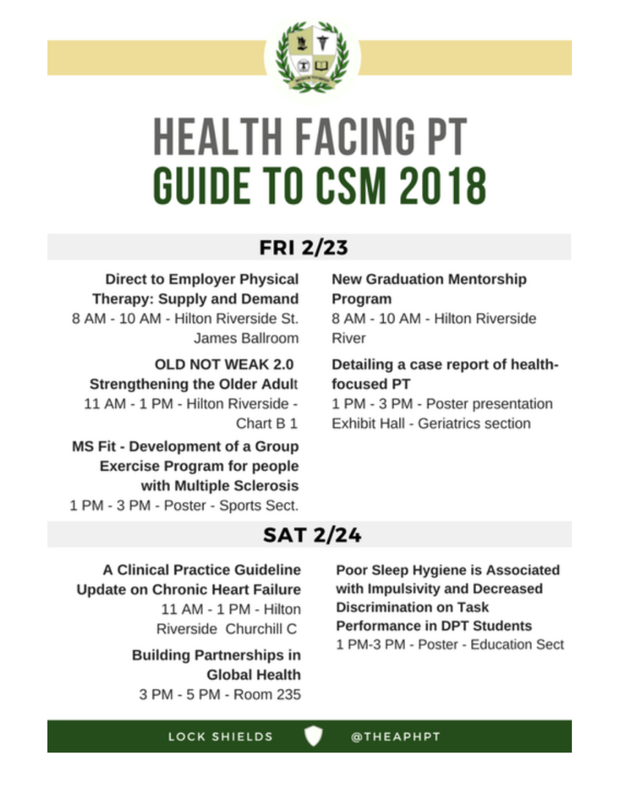 ***Download (or save, below) the “Health Facing PT’s Guide to CSM 2018” as a quick guide to the daily session with presenters who pushing the envelope in this space.